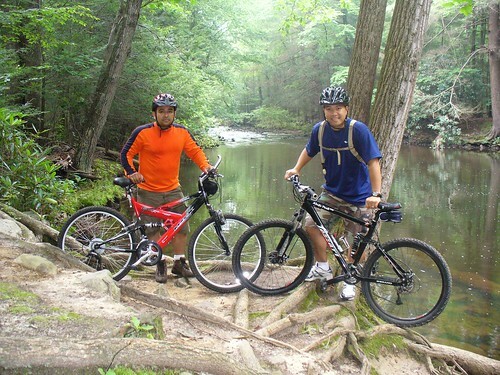 This past weekend, my buddy Eri and I went back to Stony Creek Trail. It’s not the toughest trail out there but definitely one of the most scenic rides I’ve been through. Take any of the fire breaks which runs throughout the trail and find a surprise. On this trip, we found the perfect fishing hole. It’s like a scene you would find in the movies. It had plenty of shade, big rocks to sit on, and fish jumping out of the water to get bugs that were flying above the water. We even got to do some river crossing. A picture isn’t available but I rode my bike across. Just kidding! Once again my trusted steed, the Fezzari Abajo Peak Pro was on my side. HOLY Smokes! That places is awesome! Dude, post more pics! You guys should bring your poles with you next time you go ridin’. We’ve actually talked about bringing poles with us. I just don’t want it to take away from the ride. 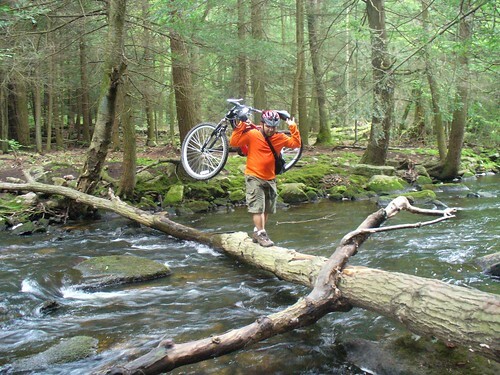 This trail is just outside Dauphin Pennsylvania. We just recently discovered it and have only been there a few times. Not really sure on how long this trail it. We haven’t really been through it all. There are plenty of fire breaks along the path that you can take and it’s so easy to get distracted. I definitely plan on seeing more of it. I love this place!